Here at Alpine, we are always trying to improve our game and give back to the community. To help us serve our customers better, we conduct surveys after each trouble call or new service installation. Customers receive an email invitation and/or follow-up phone call from one of Alpine’s employees asking for feedback on their experience. Each survey takes less than 3 minutes to complete and the more feedback we get, the better equipped we are to improve our customer interactions and service quality. As a token of our appreciation, we donate $2.00 for each completed survey to a local non-profit organization. We are grateful for the 193 customers who completed surveys in January, February, and March. 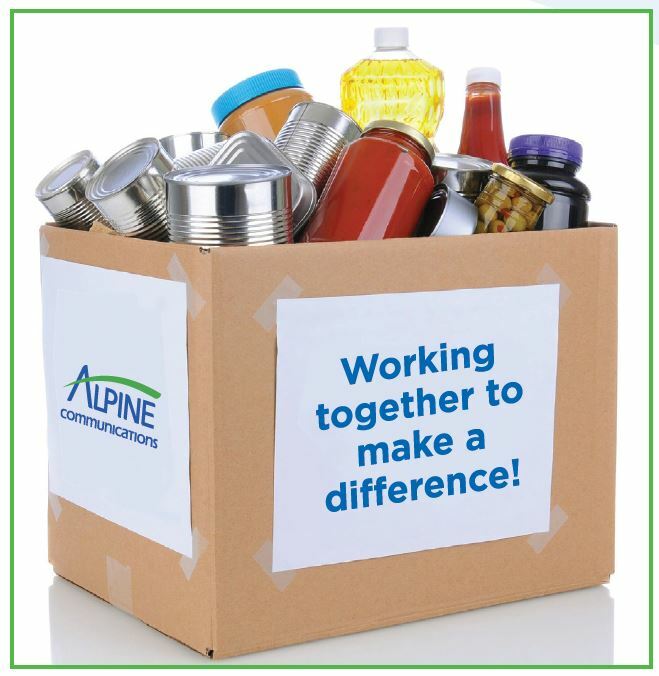 As a result, Alpine Communications is donating $386 to the Clayton County Food Shelf. Alpine Communications will donate $2.00 to the NEI3A, formerly known as Northeast Iowa Agency on Aging, for each completed survey we receive during April, May, and June 2016. NEI3A is a private, not-for-profit corporation serving individuals throughout 18 counties in Northeast Iowa. They provide services such as option counseling, case management, meal programs, caregiver support, respite services, consumer protection, and more. So please take a moment to complete our survey should you receive one in the future. We value your opinion and look forward to supporting NEI3A in the upcoming months.